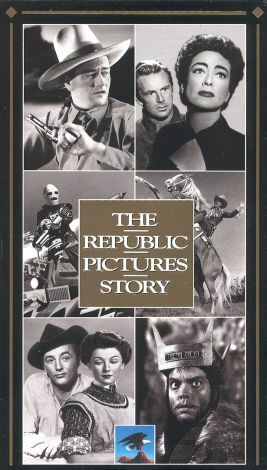 Formed in 1935 by the merger of four small studios, Republic Pictures Corporation became the king of the serials, melodramas, and Westerns that were the minor part of double bills. This video celebrates the studio that was run by Herbert J. Yates (1880-1966), a former tobacco executive who made his wife, Vera Hruba Ralston, the star in a number of his productions. In the 1950s the company moved into television. Highlights of this video include sequences excerpted from various Republic productions, featuring John Wayne, Joan Crawford, Roy Rogers, Myrna Loy Gene Autry, Orson Welles, and Robert Mitchum. Roy Rogers and Gene Autry are among those interviewed.